Darkcell, Mista Men, Jon Convex, Eliphino and Objekt. If this mix was a person it would be a member of Mensa as it&apos;s IQ is way over 100. The intelligent selection of beats fresh from Manchester&apos;s underground places SMITHY (https://soundcloud.com/smithstep) among the north&apos;s most heralded future music pioneers and gives an insight into some of the producer/DJs most promenant influences with a pinch of contemporary sugar. 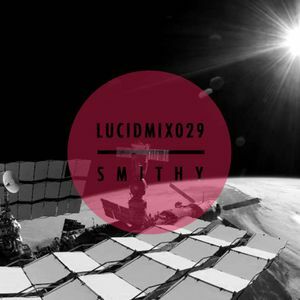 Lucid recommends the productions on the featured soundcloud and keeping a close eye on the Joe Kalius (https://soundcloud.com/the-joe-kalius-project) movement which SMITHY brings together with a little help from his friends. Don&apos;t take the smooth oceanic introduction for granted as things are about to get livlier than a multi-pack of panda pops. Please email [email protected] for a download link.